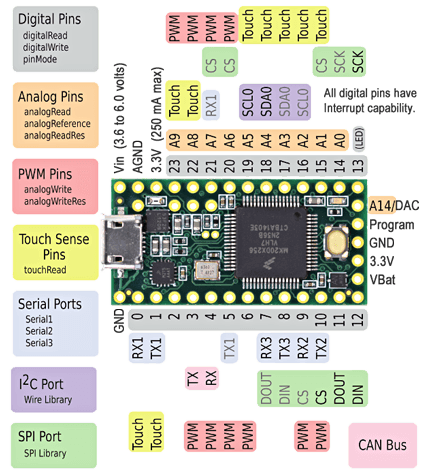 Teensy 3.2 is a powerful 32 bit ARM Cortex-M4 development board, with a rich set of hardware peripherals. 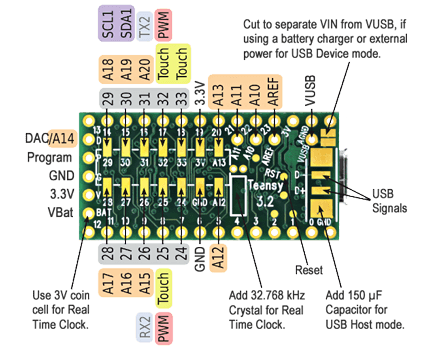 Teensy 3.2 delivers an impressive collection of capabilities to make modern electronic projects simpler. It features a 32 bit ARM Cortex-M4 processor at 72 MHz, 256K Flash Memory, 64K RAM, 2K EEPROM, 16 bit analog input (13 bit usable), 12 bit analog output, 3 UART (serial) ports, SPI, I2C, I2S, CAN bus, USB, and a total of 34 I/O pins. Teensy 3.2 adds a more powerful 3.3 volt regulator, with the ability to directly power ESP8266 Wifi, WIZ820io Ethernet and other power-hungry 3.3V add-on boards. Teensy 3.2 is well supported on the Arduino IDE using Teensyduino. 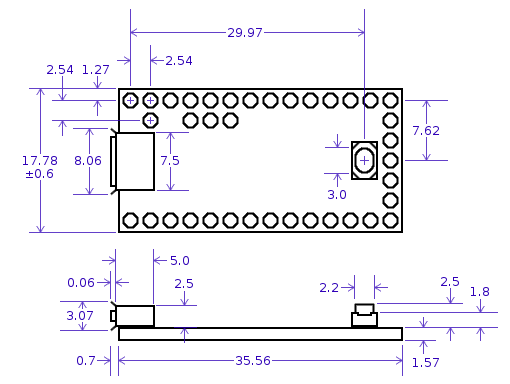 Teensy 3.2 is a direct, 100% compatible replacement for Teensy 3.1. The RAM has quadrupled since 3.0, from 16K to 64K. While 16K is plenty for nearly all Arduino libraries, 64K allows for more advanced applications. Icons and graphics for color displays and audio effects requiring delays, like reverb and chorus, will become possible on Teensy 3.2. Today most new chips use 3.3V signals, but many legacy products output 5 volt digital signals. These can now be directly connected to Teensy digital inputs. Pedvide's ADC library can be used to access both ADCs. 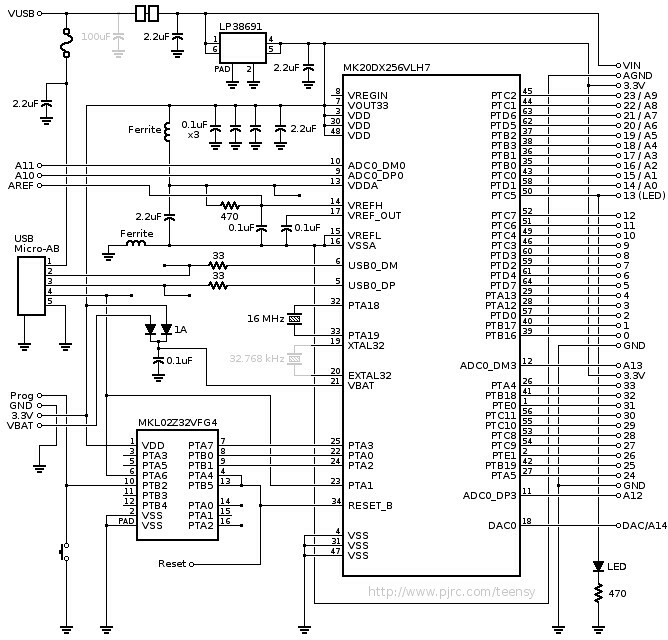 Controller Area Network is a communication used in automobiles. The FlexCAN library (included with the Teensyduino installer) supports use of the CAN controller on Teensy 3.2.